Actor Visar Vishka, who advises Culture Minister Asaf Ademi, welcomed the decision of the Ministry to cut funding for some of the most established cultural events and to boost funding for Albanian cultural projects. Ademi, who comes from the ethnic Albanian BESA party, faced strong criticism from a number of prominent artists, some of whom even gave up their posts in the Zoran Zaev led Government in protest. Some still want a dictatorship in which one center, one group of intermingled people, decide on the future of all artists in Macedonia. Of course, no decision is perfect when humans are involved. But now the Commissions, who used to operate just to rubber stamp decisions, have full freedom of action, said Vishka, who is a frequent activist for Albanian national issues. Many prominent artists and actors supported Zaev in his Colored Revolution to topple the VMRO-DPMNE led Government of Nikola Gruevski, and now found themselves deserted after projects they had ran for years with public funds were cut from the annual Culture Ministry program. One of these is Oliver Belopeta, director of the Skopje Jazz Festival and outspoken critic of Gruevski and supporter of Zaev, who was incensed after his festival was completely cut from the program. Law professor Ljubomir Frckoski, who is a leading SDSM supporter, also condemned the move to cut the Skopje Jazz Festival while boosting funding for a jazz festival in the Albanian majority city of Tetovo. 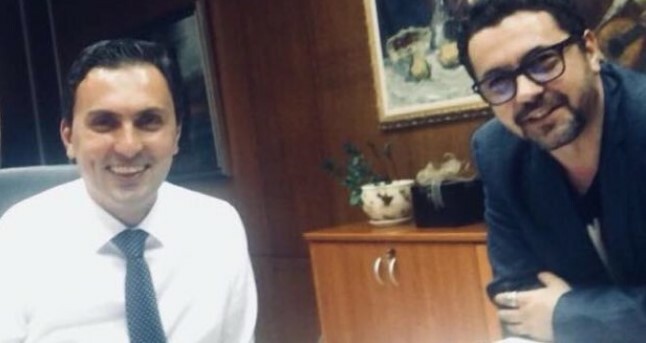 Zaev responded that Belopeta has failed to provide even the most basic paperwork when applying for funds, but none the less promised to review the decision and give him the money he asked for. Ademi offered to resign and also promised to review the decision and find more money for the cut projects. He began his term by promoting a clean cut image of himself, informing the media how he cut spending on the official phone and representative costs. But during the recent scandal it was revealed that he had his sister hired in the public ELEM company. A photograph he took making the “Albanian eagle” hand sign portrays him as more of an Albanian nationalist than a reformer.